Canada’s banking regulator today unveiled the final changes to its mortgage underwriting standards—Guideline B-20—that will further tighten lending standards and affect borrowers and lenders alike. The most wide-reaching change announced by the Office of the Superintendent of Financial Institutions (OSFI) is the establishment of a new minimum qualifying rate, or “stress test,” for borrowers making a down payment of more than 20% of the home’s value. Previously, stress test requirements only applied to insured mortgages (those with down payments of less than 20%) and most variable mortgages and terms less than five years. The stress test requirement, which comes into effect on January 1, 2018, goes a step further than what was originally proposed by OSFI in July. Buyers with uninsured mortgages will need to prove that they can afford payments based on the greater of the Bank of Canada’s five-year benchmark rate (currently 4.89%) or their contract mortgage rate plus two percentage points. “These revisions to Guideline B-20 reinforce a strong and prudent regulatory regime for residential mortgage underwriting in Canada,” Superintendent Jeremy Rudin said in a press release. 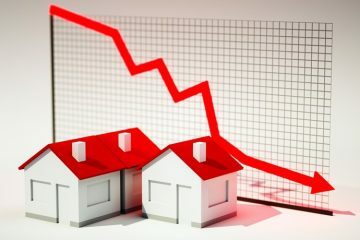 Earlier in the month Rudin hinted that significant changes were coming in order to address risks the regulator sees as a result of high household debt, and high real estate prices coupled with historically low interest rates. “We are not waiting to see those risks crystallize in rising arrears and defaults,” he said in his October 3 speech. Financial institutions will be prohibited from arranging a mortgage, or combination of a mortgage and other lending products, with another lender where the intent is to circumvent LTV ratio limits. But brokers can still do it, so long as the borrower qualifies for both mortgages (i.e., their debt ratios meet both the first mortgage lender’s and second mortgage lender’s guidelines). Industry stakeholders expressed concerns that the more stringent stress test could slow down the housing market more than anticipated. Paul Taylor, President and CEO of Mortgage Professionals Canada, was encouraged by at least one concession that OSFI had made. “I was pleased that OSFI agreed with our recommendation not to create a prohibition on all co-lending activities and instead clarified that the restrictions only apply to arrangements that are designed to circumvent existing laws or policies,” Taylor said. Mortgage rate comparison website RateHub.ca published a scenario looking at the impact of the stress test rule on a family earning $100,000 putting down a 20% down payment on a 3.09% five-year fixed rate amortized over 25 year. Under the current rules, that family could qualify for a house worth $706,692, but after the new rules take effect in 2018, that family would only qualify for a house worth $559,896 based on a 4.89% stress test. Ironic that the new “:stress” test for uninsured mortgages will add stress for buyers to qualify, existing homeowners, Realtors and brokers while benefiting the big banks. My biggest concern is for people who need to refinance and will no longer qualify. They will get pushed into expensive mortgage products that will not benefit them or will be forced to sell. This may be up to 10% of existing homeowners which represent a large number. This in turn will bring home values down and for people that have purchased over the last year could make them under water on their mortgages which means they owe more then their house is worth. Combined with less buyers that qualify for certain prices you have a bit of a perfect storm for a market correction. Congratulations government you managed to circumvent a housing bubble with your ultra low rates and now you are manipulating in the opposite manner. So how will this work for second mortgages. Can B lenders do a bundle? or Can a broker find a second to top up the B lender approved 1st mortgage? I have heard that 65% and over will be OFSI conforming? Looking for some clarification here…. Bill Morneau will receive “thank you” cards from his bay street buddies. What about contracts for new construction? Tom: to skirt around the rules no they won’t be allowed. You can find top up through private market. Come to us and we will happy to go behind. Based on initial interpretation B lenders like Home Trust or Equitable won’t be able to partner with another lender to top up the LTV i.e. 75% conv and 10% second at same rate to get around 80% limit. We can. As private lender we are rejoicing since these changes will drive more consumers to private market. It is irresponsible in the extreme of the govt to effectively force consumers into high priced secured financing to fix a problem which has little to do with mortgages. The problem is and has been for the most part, increased consumer debt. Force lenders to limit unsecured facilities, using reduced/restricted debt servicing ratios, income, networth as benchmarks. 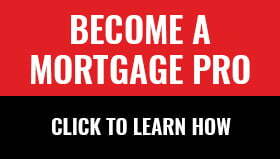 Attacking mortgage financing qualification, pushes consumers to INCREASE their unsecured debt (which by definition will be at much higher interest rates) and/or take high interest interest mortgage financing. How quickly will the # of consumer proposals/bankruptcies/foreclosures skyrocket? I give it 2 years max. So let me get this straight, a purchaser with 20% down must qualify at 2.0% over their approved five year contact rate which today would not less than 5.34%. The client with the stronger stake in the deal has meet more stringent stress test criteria? Where does this make any sense, but one must consider the source. The government is being run by the moneylenders. We need a Trump to run in Canada to clean up this corruption.